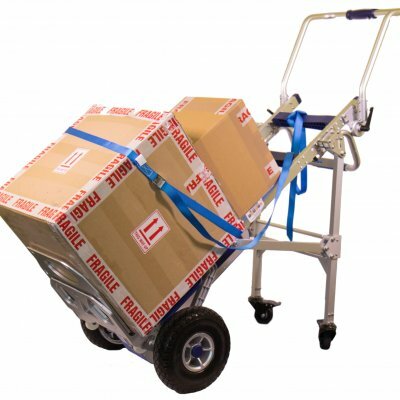 With a carrying capacity of up to 190Kg, the Sprinter 190 stair climber trolley will allow you to manoeuvre awkward loads up and downstairs with just a single operator. 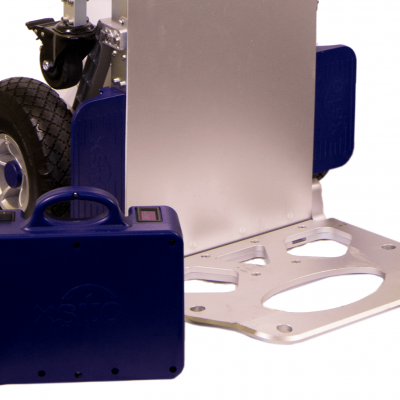 The puncture proof tyres, simple touch button control and rechargeable battery with monitor are just a few of the features which make the Sprinter 190 a market leading powered stair climbing trolley. Power your way with hire or buy. Hire a Sprinter 190 then make a purchase or simply return the trolley back after the agreed period. We offer several finance plans as well. Contact us to discuss which option is suitable for you. Terms and conditions apply. Speak to us to find out more. 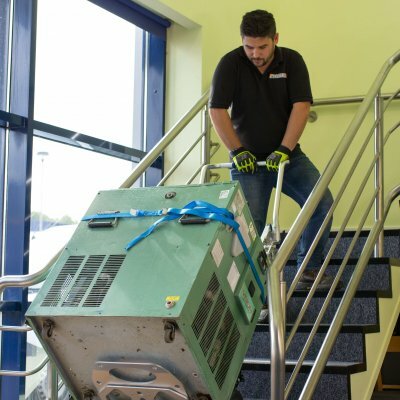 The Sprinter 190 is a revolutionary powered stair climber in that it has the capacity to be customised for a variety of industries and businesses. The water cooler accessory gives the stair climber the ability to carry six water bottles safely and efficiently by a single operator. What’s more, the Dolly which is essentially a fold out trolley , allows for ease of transportation by rebalancing the materials that the Sprinter 190 is carrying on the load over four wheels.